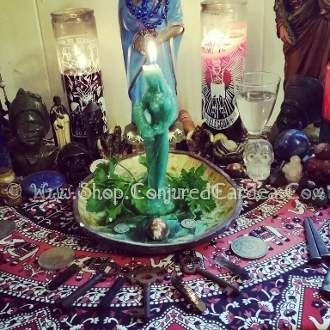 This listing is for one Goddess Fortuna service. This is a service I perform on your behalf. This service is used increase luck in stubborn areas such as employment and business opportunities, debt, and financial stability. This service specializes in enhancing areas of everyday life where prosperity is needed; employment, necessities, transportation, financial aid, loans, rent, housing etc.